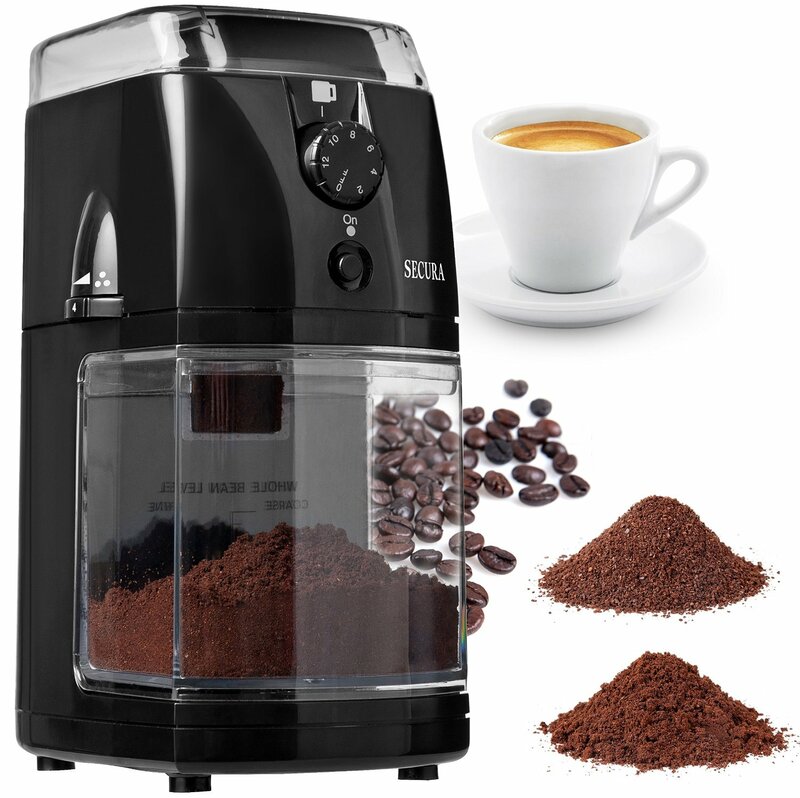 Secura Electric Burr Grinder comes with 17 grind size selection, from extremely fine (Espresso) to coarse (French press). 120V, 110Watt motor. Dimension 6″ x 4″ x 8.75″. ETL Approved Product. 1-Year Manufacturers Limited Warranty.